A four vehicle crash in Dennis, Massachusetts sent three people to the hospital on Thursday. The crash happened on Route 6 at approximately 9:35 am. The Dennis and Harwich Fire Departments responded to the scene of the crash. The crash involved three passenger vehicles and a UPS delivery truck. Medical personnel also responded to the crash and transported the three injured patients via ambulance to a nearby hospital. At this time, authorities report that the injuries sustained in the crash are not life-threatening. At this time, Massachusetts State Police are investigating the crash. There is no word on the cause of the collision or the condition of those injured. Car accidents are an unfortunate fact of life in Massachusetts. We are a heavily populated state with congested traffic on our streets and highways. Sometimes this leads to unfortunate accidents involving injury as seen in this case. When you or a loved have been involved in an injury accident, you need a good, experienced attorney to help you with your claim. At the Law Office of Jeffrey S. Glassman, our attorneys have decades of combined experience in Massachusetts car accident law. 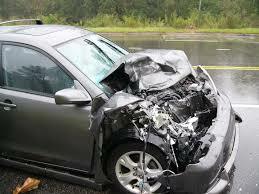 We know how to handle a car accident claim to maximize your recovery. You should not try to handle a car accident case by yourself. The insurance company is not on your side and will not offer you what your case is worth unless you have competent counsel. To speak with an attorney, please call our office today at 617-367-2900.